“We named him Nahom because it means God gives us something special.” And indeed He did. 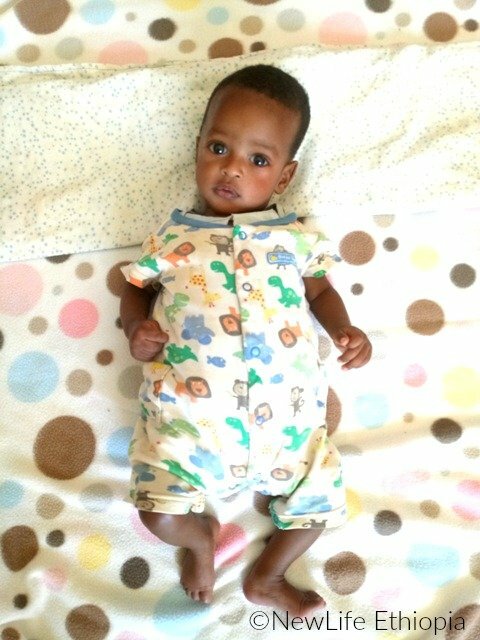 Nahom, formerly known as Burka in the orphanage, has easily adjusted to his new life with his adopted mother and father. Erymaus and Genet came to the orphanage just to look into the possibility of adopting, not really expecting to make a decision yet. But one little guy caught their eye! They began to play with him and before leaving had made a definite decision to adopt him. 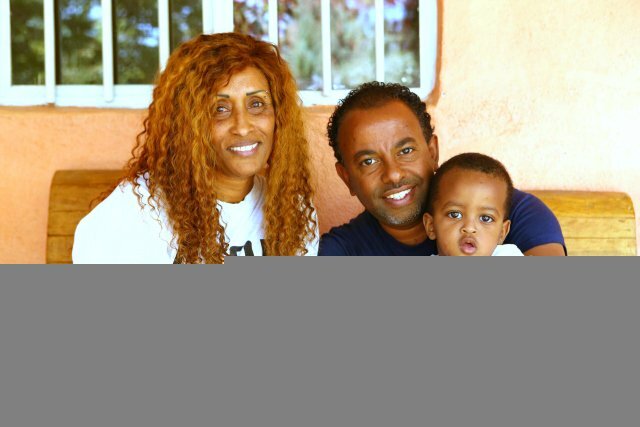 They went back to their home in Addis and started on the paperwork, completing everything in two weeks (jaw drop by everyone who has ever adopted internationally). Erymaus said they drove immediately to the orphanage, a six hour trip, to finish up the court process because they missed their son. “He is my son. Period,” his father stated. The second home we visited today had the same joyful atmosphere. 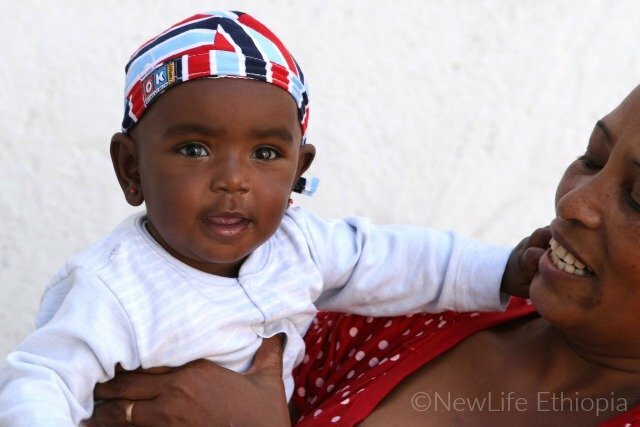 Six-and-a-half-month-old Lalise has only been with her new mother and father for two weeks, but it seemed like she has always been a part of their family. 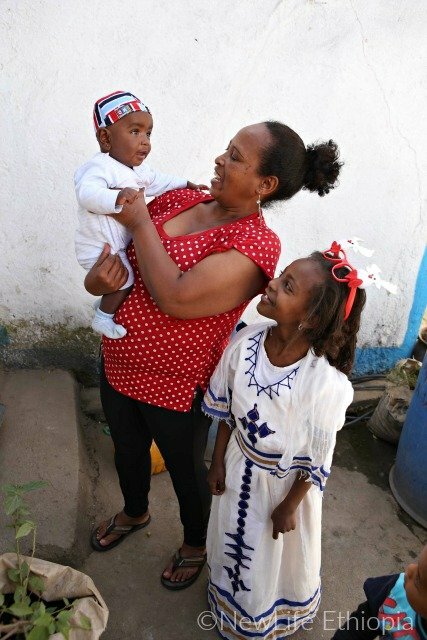 Mama Amarech owns a dress boutique and Papa Gezhagne is a health officer and has a private clinic right next to their house. Hana is the couple’s 8-year-old daughter who attends first grade. Amarech is unable to have additional children and thought Hana would be raised by herself until one day a woman came to her dress shop and talked about the child she and her husband had adopted from Mana Gammachuu. They immediately looked into adoption and are over the moon happy to be parents to Lalise. 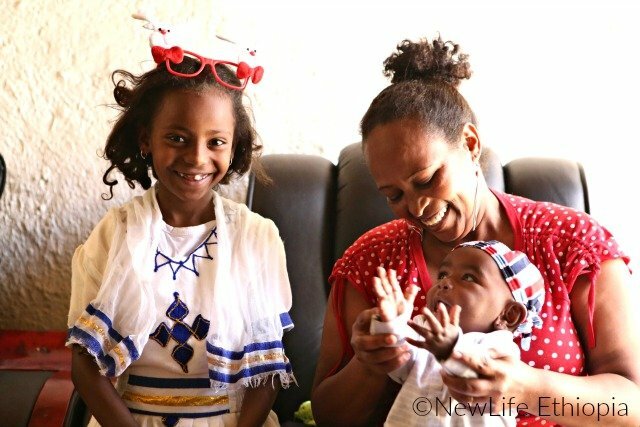 They changed her name to Selam, “Because,” as Amarech explained, “I found peace when I found her.” The couple definitely wants to adopt again when Selam is a bit older. 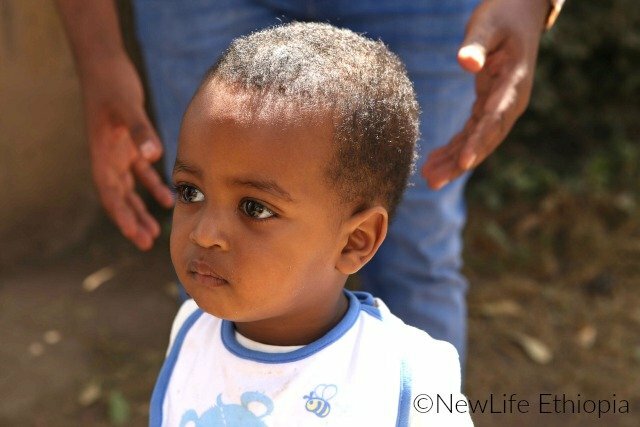 These stories of abandoned children entering into their very own loving families are what NewLife Ethiopia is all about. THANK YOU for helping us make family a possibility for so many children! This article causes my heart to rejoice! My prayers of joy are with Nahom, Erymaus, Genet, Lalise, Hana, Mama Amarech and Papa Gezhagne. How encouraging to hear how God is blessing their lives!